Keep users on the website. 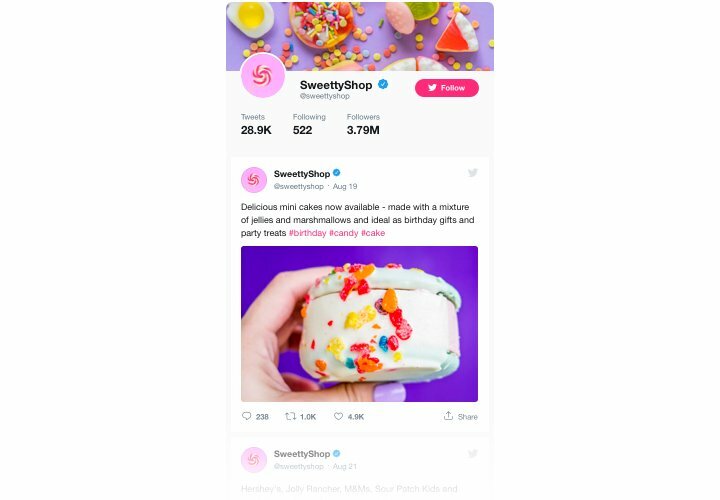 Hold your audience on your site for hours and hours, presenting selected Tweets on the most excited topics or make them involved into your Twitter-promoted events. Acquire more followers. Interactive Elfsight Twitter feed allows users to follow your account without leaving the website. 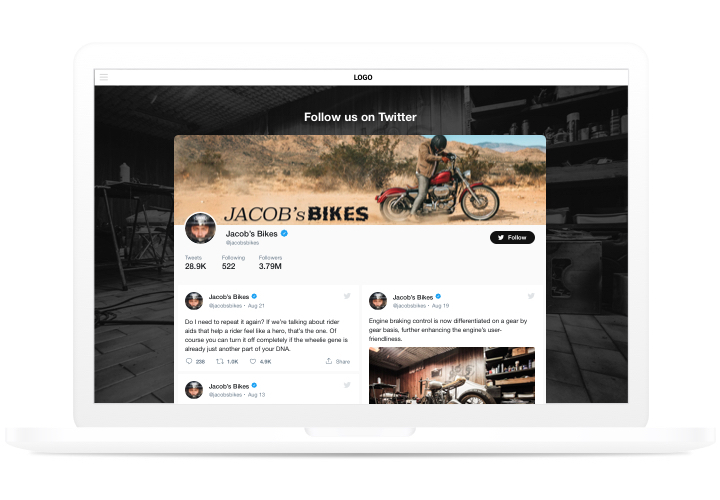 So you can get a new source of followers and broaden Twitter community. High social proof for stronger trust. 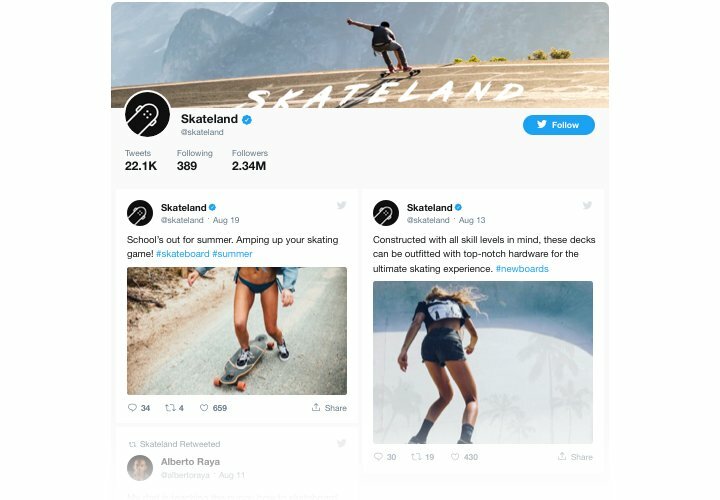 Demonstrate how actively you fill your Twitter profile to convince users that your project is developing and you are eager to communicate and become closer to your community. A bunch of features, which transform Elfsight app into the most important app for any BigCommerce site. A concise manual for generation of the app on BigCommerce by yourself. For execution of the setup, you don’t need to hire a coder or have knowledge in programming. A general time it takes is only 4 minutes. Set up the application. 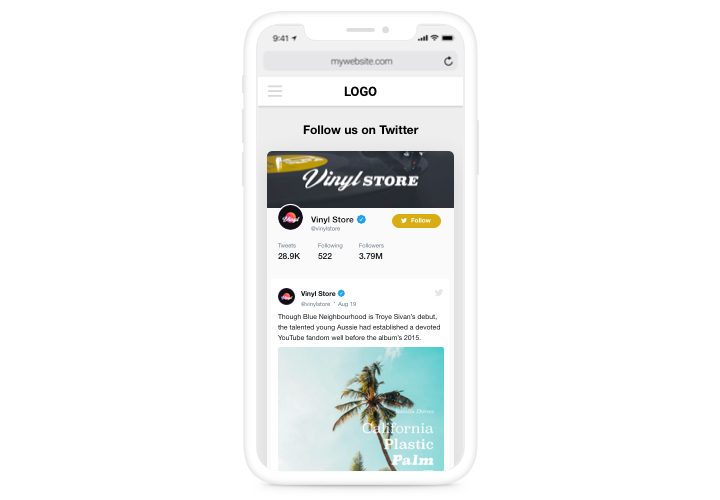 Push «GET THIS APP» button on the page and install the Twitter app on your BigCommerce site. Create Twitter Feed. Following the embedding in «My Apps» section, add content and align parameters of the interface. 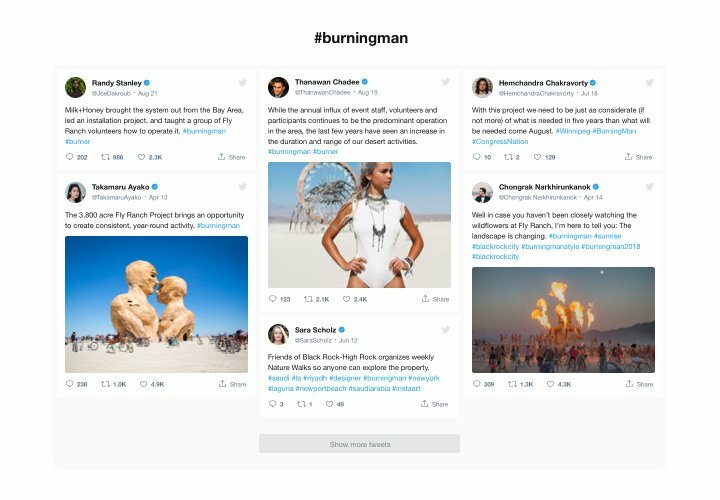 Display Twitter Feed on your web page. Open «Storefront» – «Web Pages», find the page for setup of the widget and insert the widget code there. Done! Enter your BigCommerce website, to view your results! Having difficulties or issues while following the guide or customizing your app? Message Elfsight support center and our developers will be pleased to help you in designing and displaying the app on your website. 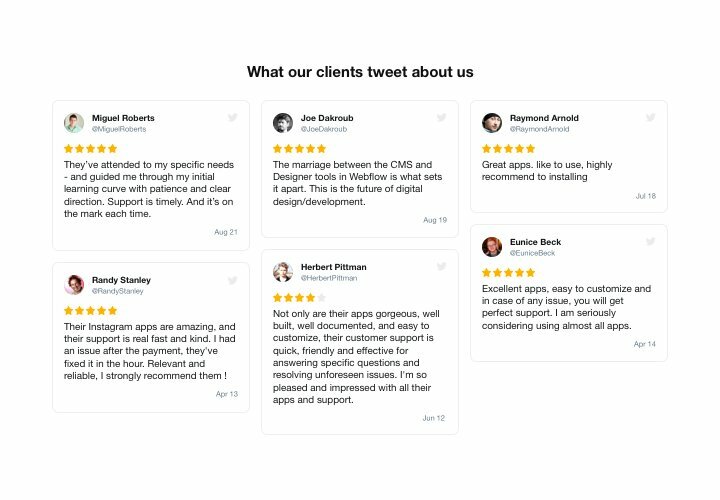 Build your BigCommerce Twitter app (70 seconds)!